2 What Is the Cooking Substitution for Granulated Garlic? Garlic is a member of the allium family of plants, along with chives, pearl onions and shallots. It is used both as a vegetable and an herb. 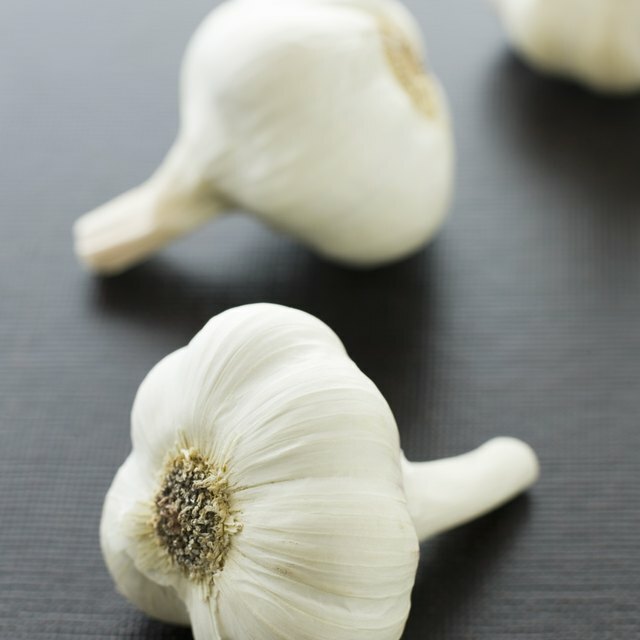 When raw, garlic has a pungent odor and the bite of an onion. Both of these properties are reduced when garlic is roasted. One clove of garlic is the same as one teaspoon, which provides 4 calories. There is nearly 1g of carbohydrate and negligible amounts of protein and fat that together comprise the calorie count. One method of roasting garlic is to cut the tops off the garlic head, exposing the cloves. Spray with cooking spray and wrap in aluminum foil, baking for 30 minutes at 350 degrees. The addition of cooking spray adds 2 calories for each spray of approximately one-third second. 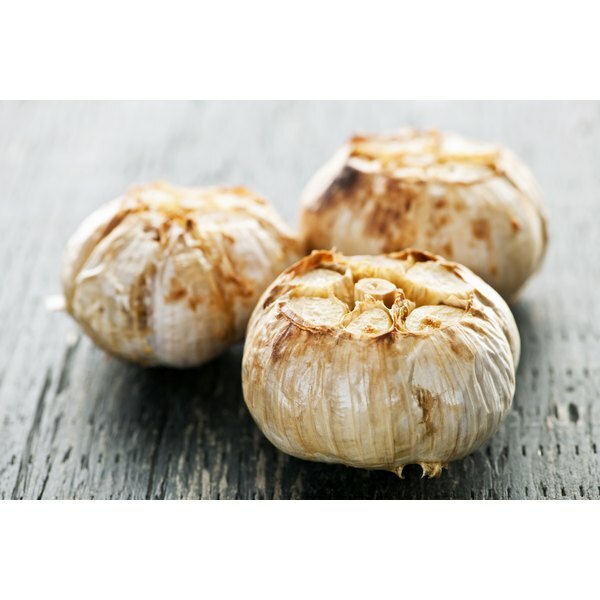 Garlic is rich in antioxidants, substances that neutralize free radicals in the body. A cholesterol-free food, it contains 0mg to 1mg sodium. Choose garlic that is firm and heavy for its size. Store it in a cool, dry place, but do not refrigerate.